Long-running UK music monthly music Q Magazine has just released their year-end issue with the Top 50 Albums of 2018 list. 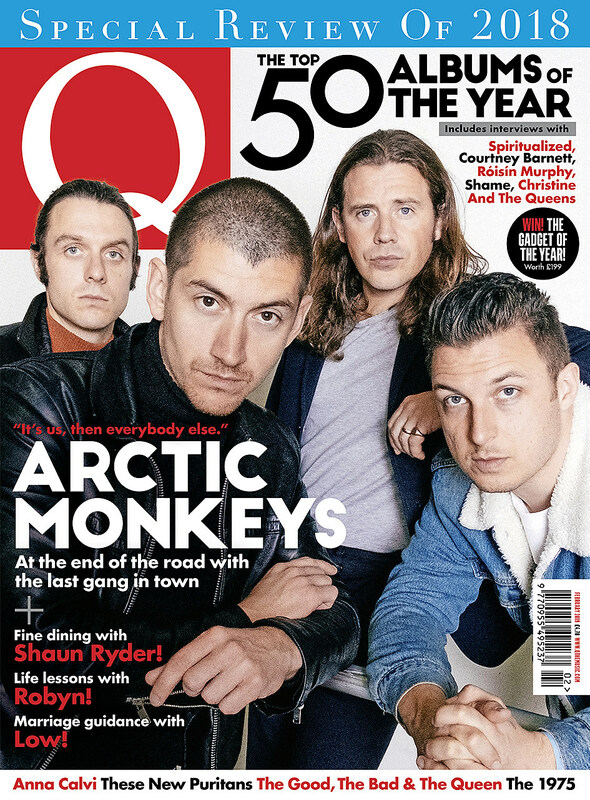 Given the magazine appeals to a slightly older, British audience it may be no surprise they’ve crowned Arctic Monkeys‘ Tranquility Base Hotel & Casino their #1 of the year. Let’s Eat Grandma‘s I’m All Ears and The 1975‘s A Brief Inquiry Into Online Relationships are close behind at #2 and #3, and the top 5 is rounded out with Robyn‘s Honey and Parquet Courts’ Wide Awake! Elsewhere on Q’s list: Cardi B, Christine and the Queens, Mac Miller, Cat Power, Shame, IDLES, Kurt Vile, Anna Calvi, and a few core Q artists like Paul Weller, Elvis Costello, Damon Albarn’s The Good The Bad & The Queen, Gaz Coombes, and Manic Street Preachers. Check out the full Q Top 50 LPs of 2018 list below. Need more Brit mag Best-Of’s? Check out lists from MOJO and Uncut.